Yesterday, the Virginia General Assembly voted to accept Governor Northam’s amendment for an additional $4 million in the biennium budget for the state Housing Trust Fund during its one day veto session. 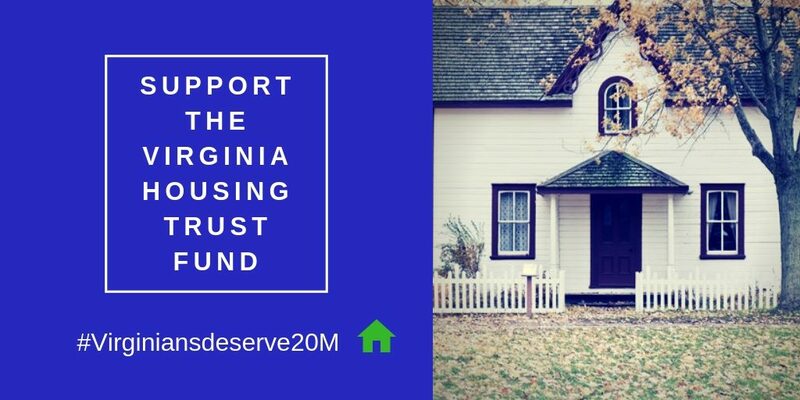 This biennium allocation of $18 million for the state housing trust fund, combined with Virginia’s upcoming allocation of $4,672,562 from the National Housing Trust Fund, will provide over $13 million for affordable housing in FY2020. In NoVa, several affordable housing developments have utilized these funds to create more deeply affordable units for lower-income households by writing down the cost of construction. Congratulations to the Virginia Housing Alliance for success on their most important legislative priority. Thanks to Governor Northam for his persistence in supporting affordable housing, and to all of the Delegates and Senators, especially those representing Northern Virginia, who remained steadfast in their support. A special shout-out to Del. Alfonso Lopez for his leadership over the years on housing. But the loudest thank you goes to advocates across the Commonwealth who petitioned, wrote, called and flooded social media with the message that Virginians deserve housing that is safe, decent and affordable. This achievement would not have been possible without you!